Hello…and Welcome to The Mattress Expert QandA Blog. Home → Allergies → Hello…and Welcome to The Mattress Expert QandA Blog. Hello…and Welcome to The Mattress Expert Q&A Blog. You’re here for one of two reasons….you want to educate yourself before buying a mattress, or, you’ve been burned and need help. You’ll find this site to be dissimilar from most others of its genre, in that, you’ll receive straight talk about what works and what doesn’t and why. If you’re one who has been burned, you already know that mattresses made today, by and large, are designed to fail…designed to make you a frequent mattress buyer, as opposed to prior to 10 or so years ago when mattresses were made to last. If you are new to the mattress buying experience, you may find that hard to believe, especially if you’ve been shopping and have heard the sales pitches that make everything sound so good. Most of you experienced recent buyers already know better than to believe the hype. Today’s mattress stores are a sea of pillowtops and memory foam. These two items, more that any other reasons, are the major causes of the premature wear you experienced buyers have encountered and you new buyers will encounter. These are the very things that are hyped and pushed by salespeople when you go shopping in stores. Why do they push these products if they don’t hold up? Take a look around you at our country as a whole. Why do any of our industrial giants do what they do? The answer is “MONEY”…the driving force behind the decisions that are made corporately these days. It used to be that the mattress manufacturers concerned themselves with making a quality product. Then, they figured that you, the consumer, would buy their products because they were made better. The mass media marketing, starting with the Tempurpedic people, showed everyone in this industry, that you didn’t have to actually make a quality product to make the sale. All you really need to do is to “Tell You” that it is a quality product…over and over again. In essence, you’ve been brainwashed…for the past 17 years. You’ve been told that memory foam is the best thing since sliced bread. They promise you the moon, offer you a money back guarantee, and deliver a mattress that is more than just sub-standard. For the most part, it’s junk. Don’t you find it interesting that memory foam, which has always been touted as so wonderful, would constantly be presented to you as improved? It wasnt’ long after this “Swedish Sleep System…NASA Endorsed…Wonder Material” was introduced, that it was being improved. It has been “Improved” countless times. If it was so damn good to begin with, why would it need to be improved so often. Fact is, even after all the improvements and Gel Infusion, it’s still nothing but JUNK…and expensive junk, to boot. Simmons introduced a memory foam that they originally called “Next Generation” or NxG memory foam. They don’t use those terms anymore, but the foam is still the same and considerably better than regular memory foam. It is far less temperature sensitive than regular memory foam. You’ve seen the commercials for memory foam with the hand print in the foam that stays embedded in the foam. From the beginning, I saw that and wondered how anyone in their right mind would see that as a good thing. Well, they sold it…through mass media marketing they were able to brainwash an entire country into thinking this was good. I’m here to tell you, it isn’t. Simmons’ Next Generation memory foam does not leave a hand print. When you press your hand into it and take it away, the foam returns immediately. So, for those of you who insist on trying a memory foam mattress, try a Simmons Comforpedic Advanced. I promise, it will perform a whole lot better than regular memory foam. But, the goods is Latex. Latex foam has all of the allergens removed during processing. It is hypo-allergenic. It is and has been thee best material available for use in or as a mattress since the 1920s, when it was first used. Latex is a natural product, unlike the toxic ridden chemical make-up of memory foam. It is 100% safe…even if a small child were to ingest it. Latex is expensive. It’s expensive because it is expensive to make…not because millions were spent to sell it to you, as with memory foam. Latex is available as a mattress, in total or in part. It is also available as a topper…a removable pillowtop. Many of you like the feel of pillowtops. They feel wonderful to try in the store. Filled with poly or memory foam, they lose their shape and comfort within months. The big problem is that they are sewn onto the mattress, which may be fine underneath, but totally shot because you can’t change just the top….sending you off to buy yet another mattress after only a couple of years. You can add a cheap poly foam or memory foam topper, which is fine if you are ok with replacing it every 6 months to a year. A Latex Topper removable pillowtop with last for may years, making it less expensive in the long term, by quite a lot. 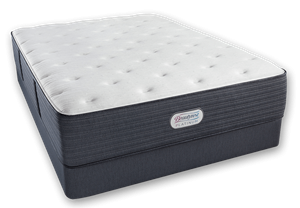 In the pages of this blog, you will read my recommendations for a firmer mattress for the support your body needs. Soften that firm mattress with a removable pillowtop made of Latex…and I won’t hear from you again for a long time. Shopping for a mattress isn’t fun. Don’t be fooled by the hype and the allure of a luxury mattress that absolutely will not deliver what was promised. The first store you go to is likely to be the store that has spent millions in constant advertising telling you they have the best price. After spending millions to tell you that…millions that you, the consumer, must pay for, their prices are usually the highest. Don’t worry about that sale “ending today”. Mattress sales are a lot like commuter transports…there will be another sale along before you know it. Salespeople at these stores are trained professionals in closing a sale. They are also among the most affable people on the planet…seemingly “real nice people” that you are happy to buy from….all a part of closing the sale. If you don’t buy the first time in, you are bound to save hundreds of dollars on the very same product. Before you buy anything, click on the categories of this blog that pertain to your set of circumstances. I would also like you to read the posts under the Memory Foam and Pillowtop categories. Read the problems encountered by others in order to avoid sharing their fate. In short, if you avoid pillowtops and memory foam, you will be well ahead of the game. And don’t kid yourself, it’s just that…a game. Play it well.